The Los Angeles 2024 Olympic Bid Committee attended the European Olympic Committee General Assembly in Prague this week following a two-day workshop in Lausanne along with the other candidate cities from Budapest, Hamburg, Paris and Rome. The workshop was an opportunity for LA 2024’s high-level delegation to share its ideas and receive feedback from the International Olympic Committee (IOC). LA 2024 Chairman Casey Wasserman attended the IOC Candidate City workshop in Lausanne before travelling to the EOC General Assembly. He said, “on behalf of everyone at LA 2024, I want to thank the IOC for providing us with such a valuable experience over the last few days. By allowing us to share our vision and providing us with key insights, this workshop will undoubtedly bolster our work as we seek to build a sustainable bid that furthers the Olympic Movement around the world. “The EOC General Assembly here in Prague gives us another excellent opportunity to listen and learn from the Olympic family, and we are grateful to Patrick Hickey and the EOC for the chance to participate”. United States Olympic Committee CEO Scott Blackmun who participated in the Lausanne workshop as part of the LA 2024 delegation said, “I would like to commend the IOC on its vision to create a sustainable Games that furthers host cities’ long term goals. LA 2024 will emulate the IOC’s clear and succinct vision as is it builds a bid that fits into the long-term goals of the city and the region. Los Angeles is fortunate to have the support of its city leaders and of its public as it builds this bid, and the candidature committee will work hard to provide evidence of this support in the February proposal”. Janet Evans, LA 2024 Vice Chair, said from Prague, “as Olympians we are no strangers to hard work. Even better than hard work, though, is working hard and smart. This experience in Lausanne has given us a clear, straightforward snapshot of what we must do – provide a persuasive vision for the Games that serves the long-term development of our city. “LA 2024 wants to take advantage of every opportunity we can to listen and learn, and that is why we are so happy to be in Prague to meet again with the NOC family. The IOC Candidate City workshop has left us feeling stronger and even more determined to put together a one-of-a-kind Games experience that will serve athletes, Angelenos, and the rest of the Olympic family. All five candidates now face a February 17 deadline to prepare part 1 of their candidature files that will cover many topics including the Games’ concept, along with financial guarantees required from various government bodies. Earlier in the year Los Angeles Mayor Eric Garcetti said he would commit taxpayer dollars to cover any cost over runs, though he expected the privately funded Games to generate a surplus. 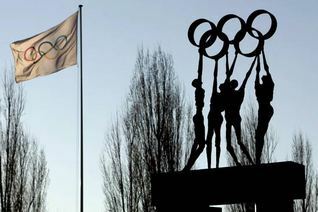 The IOC will elect the 2024 host city September 2017.